Landscape Solutions New Zealand is your landscape construction services specialist. 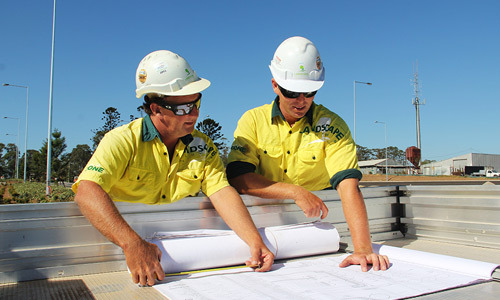 Whether its large scale civil work, multi-residential projects, sporting precincts, green spaces or recreational facilities, our team has the resources and facilities to deliver your project. Landscape Solutions ensures that every project we undertake is managed with professionalism and precision, drawing on our unparalleled wealth of industry knowledge. The unique structure of our Auckland team enables our staff to maintain a real customer focus. Our on-the-ground team has access to our Senior Executives, Contract Administrators and a team of seasoned support staff. This ensures our project and site management personnel are able to concentrate on delivering your project. We will champion workplace safety and ensure you have a comprehensive understanding of the intricacies of your project, its requirements and any associated risks. Michael Joseph Savage Memorial Park boasts perfect lawns and well-manicured surrounds. With panoramic views of the coast and Auckland City, the park is a memorial to New Zealand’s first Labour Prime Minister Michael Savage and his long-standing relationship with the Maori Community.